Coexist and the local community are launching a campaign to save the iconic community hub Hamilton House with only days left to go before the social enterprise is evicted from the building. A new petition released by local group ‘Save Hamilton House’ yesterday has gained over 1,500 signatures in just 24 hours, and is asking Bristol City Council to step in and purchase the building – either through a direct sale from landlords Connolly & Callaghan (C&C) or through a forced Compulsory Purchase Order (CPO) – before opening it up to Community Ownership. This comes after eighteen months of tense negotiations between the non-profit social enterprise and their landlords who plan to develop the building into flats despite massive local opposition. On the 19th November, C&C gave Coexist 24 hours formal notice to leave the building. Coexist have not accepted the terms of this, stating they believe they are entitled to one months’ notice, to which C&C have responded aggressively, attempting to change the locks and launching a legal battle against the community group. Coexist have since remained in the building 24 hours a day with a view to continue their work beyond 1st December – the date which signifies the social enterprise’s ten year anniversary of trading within the building. This will enable a planning application for a ‘Certificate of Lawfulness’ to be submitted, to redefine the use as a ‘community building’ in planning law. C&C have attempted to push through a Permitted Development planning application on the building, but this has been refused, with a subsequent appeal being rejected by Central Government on the 20th November. With just days left before eviction, Coexist and the local community are now calling upon Bristol City Council to support their vision of a building owned by the local community. 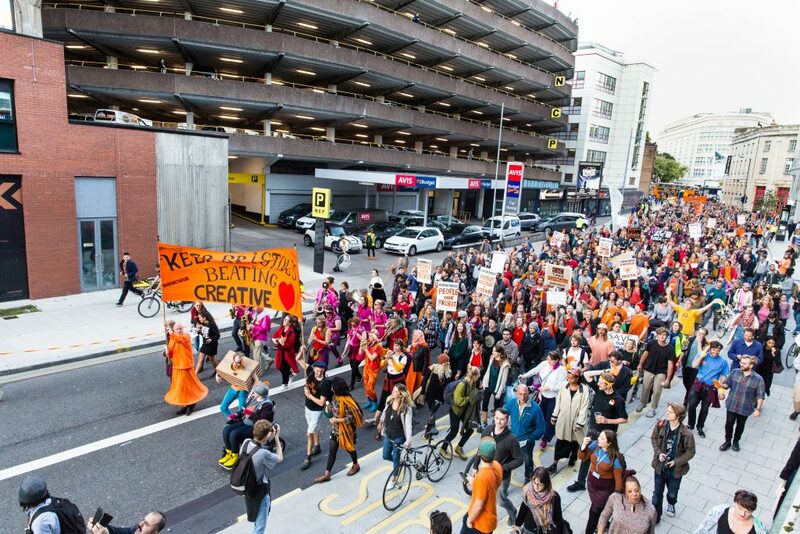 In September, a march of support for the project saw over 1,000 people take to the streets of Bristol to demand community ownership of the building. Bristol City Council verbally offered their support in the weeks that followed; however, no subsequent action has been taken. Coexist’s final day in the building is set for the 19th December 2018. The petition will be presented at the next Full Council Meeting on 12th December.